The 3DS is now eight years old. In those eight years, it has received a fantastically huge library of games from various companies, with Atlus USA bringing over the majority of my favorite titles on 3DS. There was certainly no shortage of games to pick from for an RPG enthusiast such as myself. Unfortunately, because of the huge library there are many awesome adventures that get overlooked by most people who own the system. One of those games I believe got overshadowed, or “buried” if you will, is Stella Glow. I jumped into Stella Glow a year after its release and I think it’s still worth taking a look at. I want to share with you what I loved about it and why I believe it should be given a chance by those who haven’t just yet. When you ask someone for good 3DS SRPG recommendations, they’re more often than not going to mention one of three Fire Emblem titles: Awakening, Fates or Shadows of Valentia. Personally, I would recommend Stella Glow over any Fire Emblem on the system. Even though I spent a lot of time with and enjoyed Fire Emblem Awakening, it’s not something I ever look forward to going back to now. Having to always grind and plan out the perfect soldier children is somewhat of a pain. And don’t even get me started on FE Fates. Long story short, I find the game to be completely soulless and I didn’t get much joy out of it back when I gave it a shot. Sadly, I haven’t gotten the chance to try the latest one, Shadows of Valentia. I will one day. There are a few reasons why Stella Glow is my favorite SRPG on this wonderful handheld, but the main reason is the soundtrack. 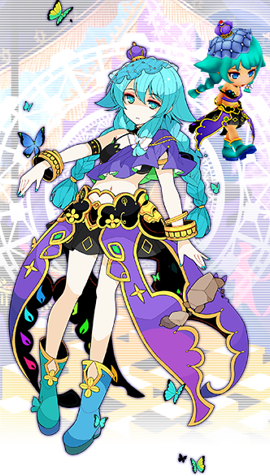 Stella Glow is literally all about music. The game takes place in a world where your average person doesn’t know how to sing and in no way is able to. And thus, the only people capable of it are the various Witches. This plays an important part in the game and overall story. The story begins with Hilda, the Witch of Destruction, trapping cities of people in crystal. When she does the same to Alto and Lisette’s hometown, they go on a journey to stop her. Alto is the main character and famed conductor, with the ability to tune Witches. In battle you’ll use the Witches’ songs to put various effects on the battlefield, whether that be regularly healing your party for a certain amount of turns, or even preventing enemies from taking any action. Anytime you choose to use a Witch’s song in battle it will change the background music to whichever song you used. I love this aspect of Stella Glow and anytime I got a new Witch, or unlocked her second song, I looked forward to hearing it. Aside from the musical aspect, the gameplay is your standard SPRG affair. Nonetheless, it’s fun to play and the game looks great. It has that bright and colorful anime style and is pleasant to look at while playing. Each Witch’s special battle stages for when you’re attempting to add them to your team are unique and they’re all quite enjoyable to play through. And the stages you encounter back in town when looking into a Witch’s heart to help her with her problems are just as cool, though a little less unique between each Witch. In addition to the bright style of the game, I appreciate the ability to side-level and not having any sort of perma-death penalty. 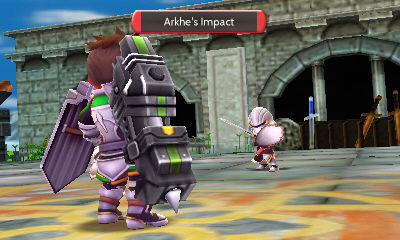 Plus, it helps that the stages don’t scale in level like a certain much older SRPG. I’m able to enjoy this genre a lot more when I have the freedom to level and keep my party intact. In the end, the final reason I truly enjoy this game involves the characters. You have Witch waifus (Mordimort is my favorite by the way) and various other characters among your party to get to know. I enjoy them much more than anyone in the 3DS Fire Emblem titles. In between story battles you get free time where you get to know the game’s cast better and unlock new skills for them to use in battle. It somewhat resembles the social links from Persona. 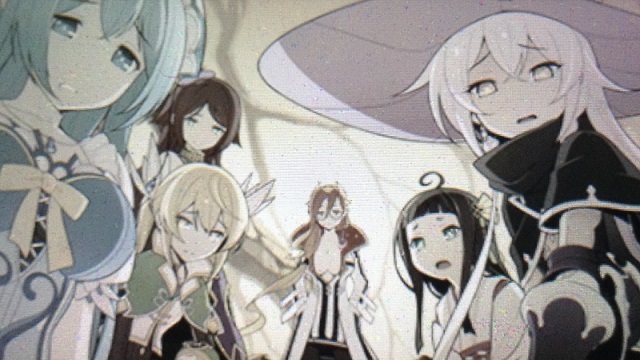 Maxing out your friendship with a Witch unlocks one of various special endings in Stella Glow. I really appreciate that there are lots of characters to spend time with even outside of the harem-esque aspects of the game. Everything considered, I love Stella Glow. It’s very much so become a buried treasure. People often don’t know much about it, if anything at all and will be recommended some Fire Emblem or another as the best go-to handheld SRPG. I merely want to challenge that recommendation and suggest you give Stella Glow a try, before you completely bury your 3DS in favor of your Switch. It was Imageepoch’s final game before they went under and so unfortunately, there’s no guarantee it will ever receive a Switch port. I urge you to not give up on your 3DS just yet. It still has servers and there are likely many games you have yet to give a chance, the system is packed full of em.